Kirtland Cutter was born in 1860 in Cleveland, Ohio. At age fourteen, a young Cutter was enrolled at Cleveland’s prestigious Brooks School. 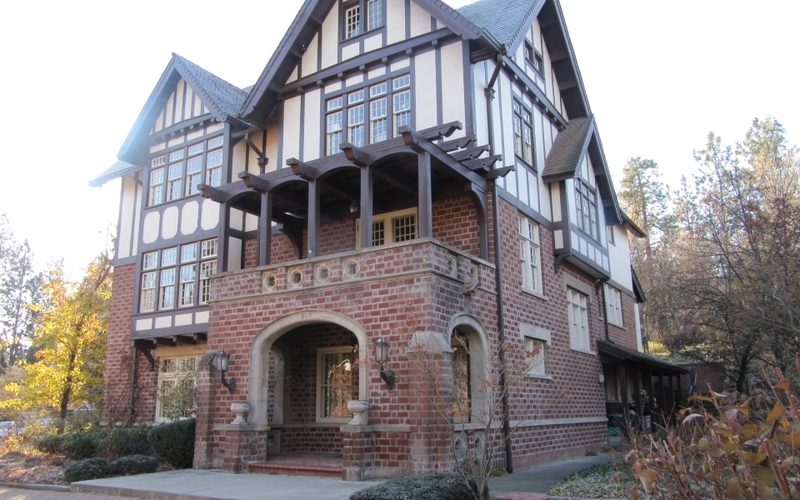 While he did not distinguish himself in academics, perhaps the biggest influence on the boy was the half-timbered schoolhouse, as Cutter developed an eye for architecture from a young age. As a young adult, Cutter enrolled in the Art Students’ League of New York with the intent of becoming an illustrator. Then, Cutter traveled to Europe to study art, primary in Dresden and Florence. 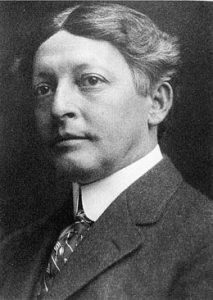 In 1886, Horace Cutter, Kirtland’s uncle who worked as a banker in Spokane, convinced him to come to the western United States to practice architecture in the growing city. 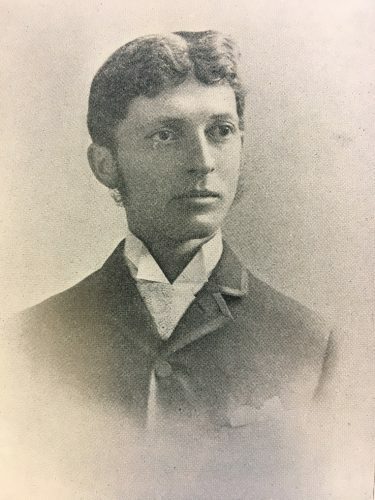 Upon his arrival to Spokane in 1887, Kirtland Cutter worked for his uncle as a cashier at the First National Bank as he looked for architectural commissions. 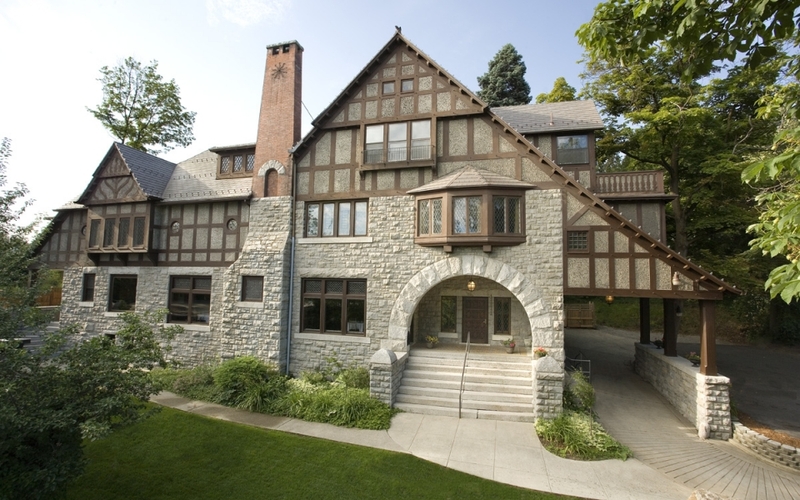 Cutter’s work as an architect in Spokane began with mostly residential structures, including the Glover Mansion. However, his career would be altered and pushed forward by the Great Fire of 1889 which destroyed a majority of Spokane’s previous architect. From the year of the fire until 1894, Cutter worked in partnership with architect John C. Poetz. One of the firms biggest successes was not in Spokane, but in Chicago, when Cutter & Poetz designed the Idaho Building for Chicago’s World Fair of 1893. This structure boosted the status of Cutter immediately, and he quickly became one of Spokane’s most prominent and sought after architects. 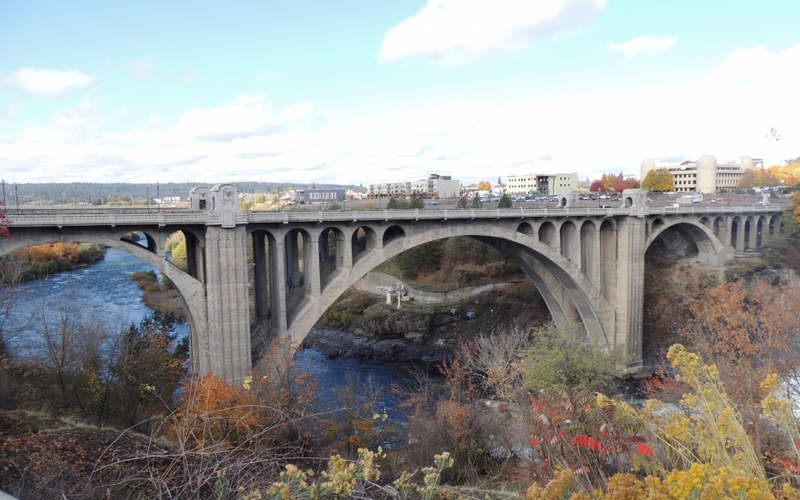 Along with his new partner, Karl G. Malmgren, who became Cutter’s partner after the retirement of the Poetz shortly after the World’s Fair, the firm began creating some of Spokane’s most iconic structures. During the partnership with Karl Malmgren, Cutter designed his most recognizable Spokane landmarks. 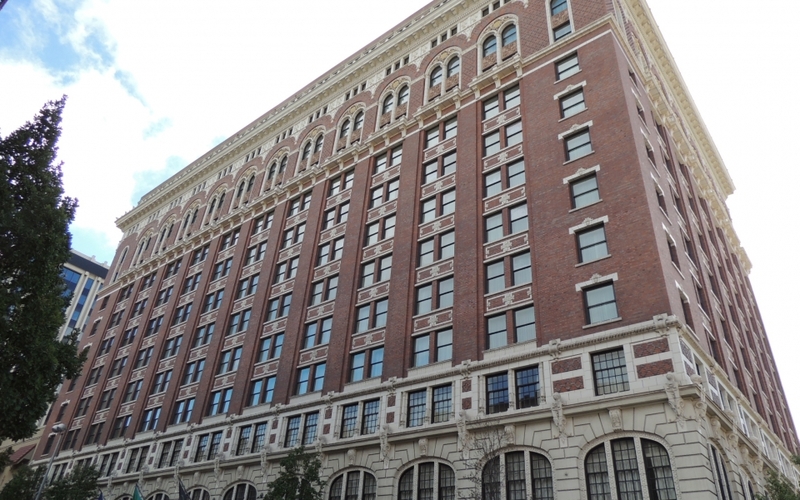 These prominent downtown structures include the Davenport Hotel, Monroe Street Bridge, Spokane Club, Washington Water Power Building, Central Steam Heat Plant, Sherwood Building, and the Robertson Building. These buildings continue to be the backbone of the architectural identity of the downtown area. Cutter’s work extended outside of the downtown area, with buildings such as Manito Methodist Episcopal Church. His name is also pinned to some of Spokane’s finest residential homes of this era. 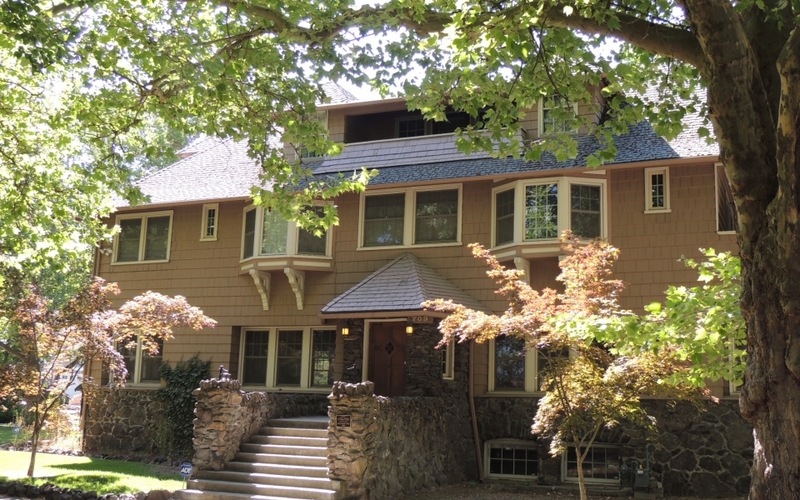 Due to the firm’s success, Cutter received many high profile commissions for homes from the social and political elites of Spokane, as well as other mid-class houses. 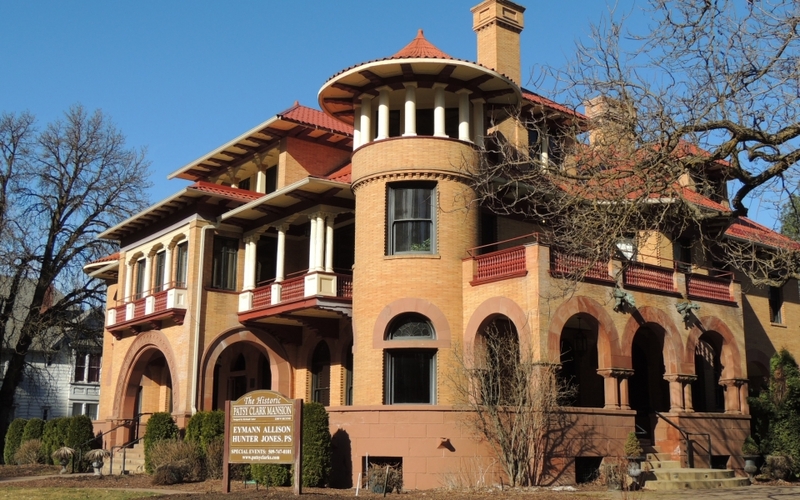 Some of his residential designs, both individual and along side Malmgren, include the Patsy Clark Mansion, Campbell House, Finch Mansion, Corbin House, Nuzum House, Glover House, Thomas House, Corbet-Aspray House, and others. Kirtland Cutter also designed many buildings outside of Spokane as his name became increasingly well-known in the architecture world, specifically in the Seattle and Tacoma market. Cutter continued to design buildings in Spokane and the Pacific Northwest until he moved to California in 1923. He spent thirty-seven years designing buildings in Spokane. 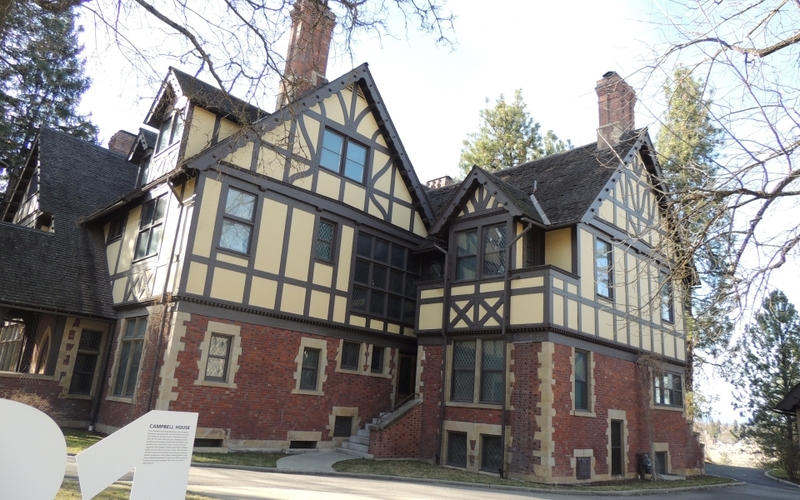 Kirtland Cutter is often called by architectural historians the most significant architect in Spokane’s history. 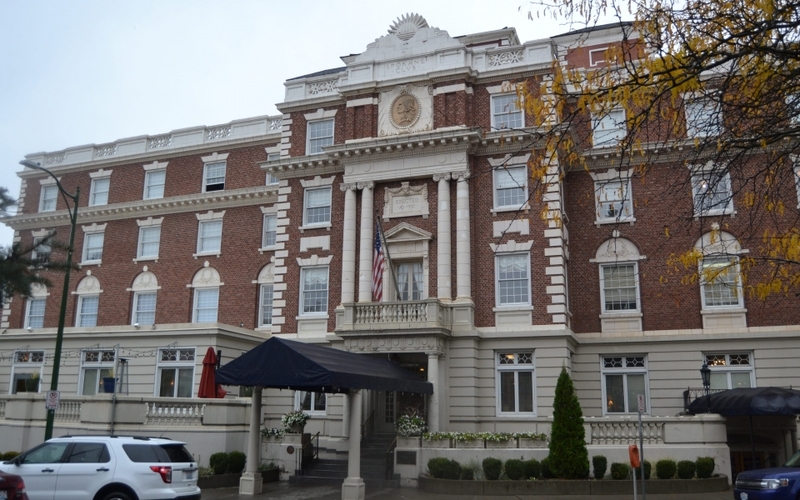 Not only do a majority of his buildings and structures survive to the present day, but a large number of Spokane’s main landmarks have Cutter’s title on their plans. While Cutter practiced architecture around the United States in his career, his work impacted Spokane’s identity in a way that was not matched by any other city. Cutter practiced in California until his death in 1939. Durham, N. W. History of the City of Spokane and Spokane County Washington From Its Earliest Settlement to Present Time, Volume 2. Chicago: The S. J. Clarke Publishing Company, 1912. 448. Ned M. Barnes Northwest Room Vertical File: Spokane Architects- Cutter, Kirtland. Spokane Public Libraries. Arksey, Laura. HistoryLink.org Essay 115: Cutter, Kirtland Kelsey (1860-1939), Architect. Posted 3/23/2009.